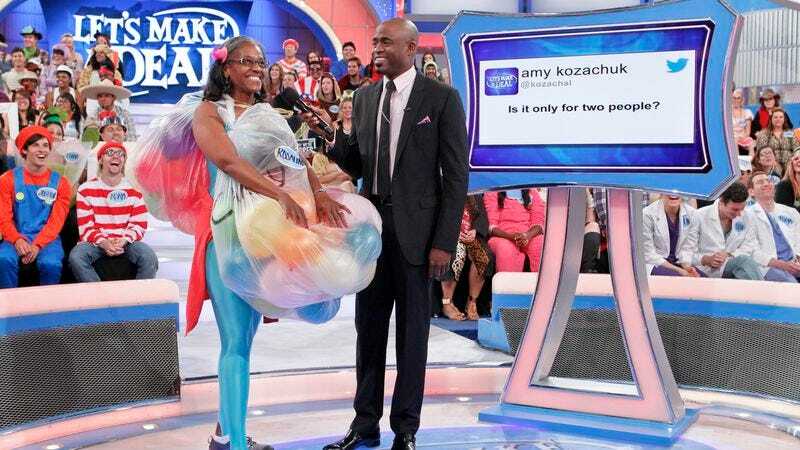 Just last week, Let’s Make A Deal went full internet with its social media episode. The 60-minute episode let fans on Twitter make decisions for contestants on the show, and gave viewers an inside look into how it was made via GoPro cameras worn by producers and other various crew members. For those who didn’t get enough that time around—or who maybe don’t DVR Let’s Make A Deal for some reason—The A.V. Club has an exclusive clip that didn’t air on the show. In the video below, Deal’s executive producer meets with two of the show’s prop designers to check out one of the program’s dreaded Zonks being made. It’s a neat clip both for fans of the show specifically and fans of Hollywood productions in general, just because a glimpse behind the curtain is always interesting.